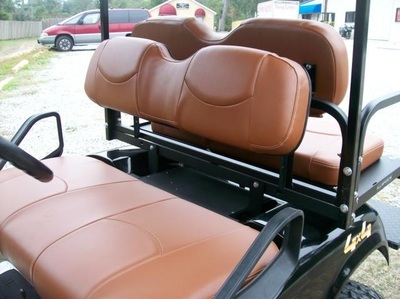 Your Golf Cart Seat Cover Manufacturing Leader! 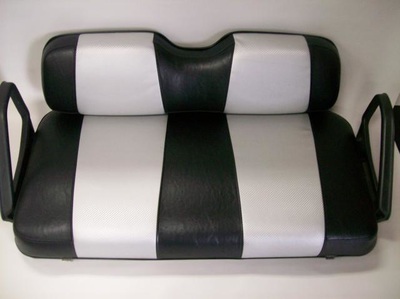 Having been manufacturing upholstery products for nearly 40 years, there is not much the Kool Cushions has not or can not produce. 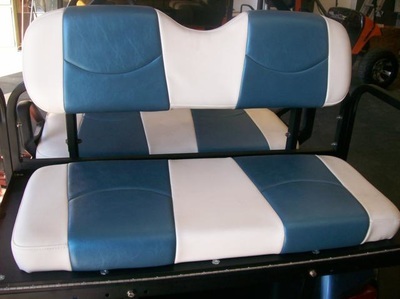 Our custom, or retail, division specializes in re-upholstery on most any item as well as creating some of the most unique items you have ever seen. 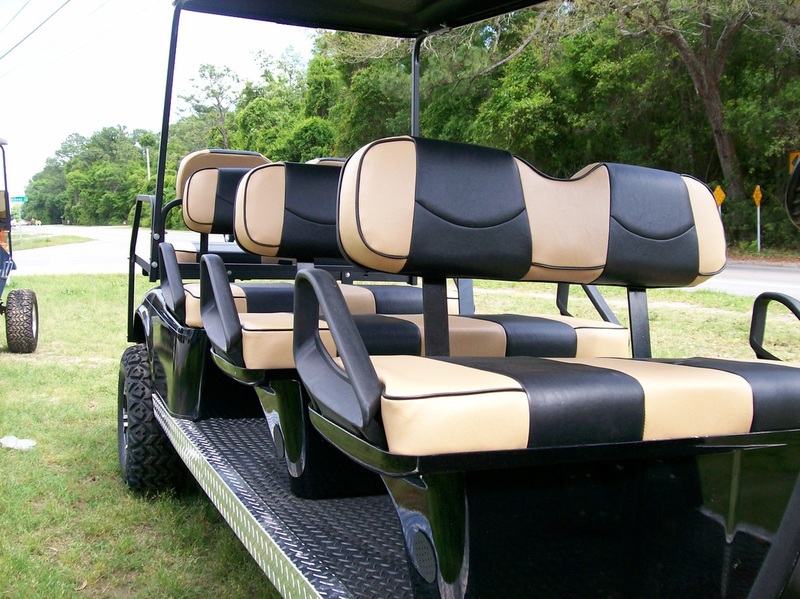 Our commercial division is capable of completing any order both large and small. Kool Cushions manufactures boat seats and chair covers for three prominent boat manufacturers. So whether you need 100 cushions a week or a 50' yacht totally refurbished, we will exceed your expectations. 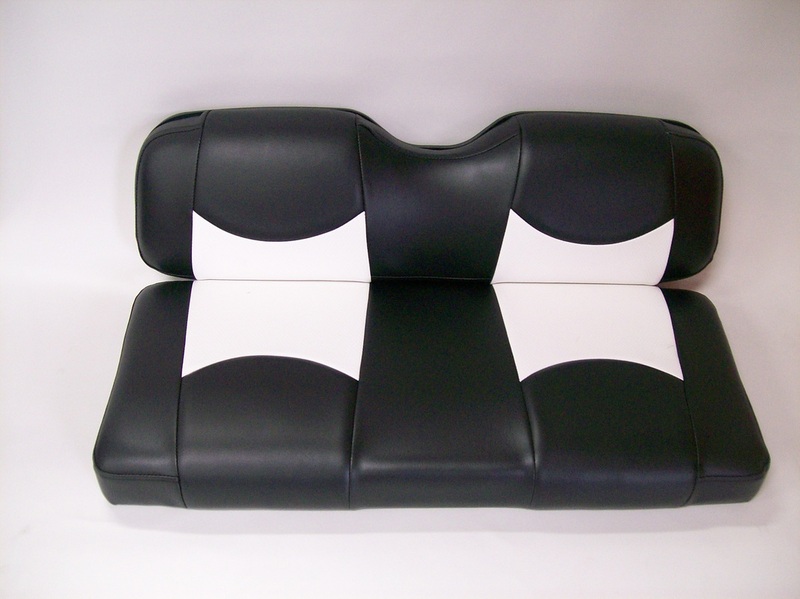 Our experienced seamstress' can sew high volumes of work and deliver on a timetable. 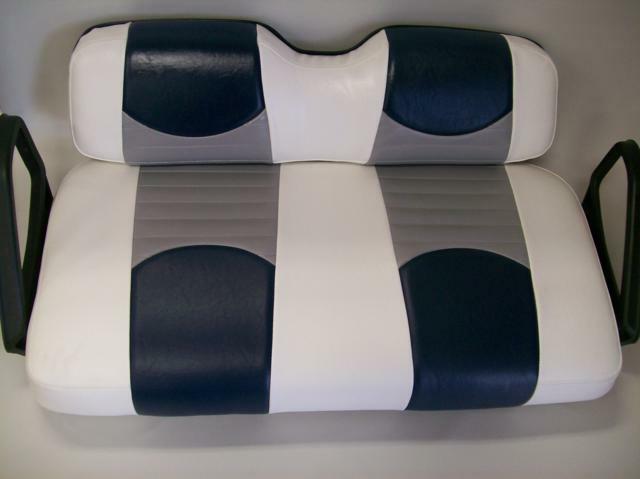 It is this experience that sets Kool Cushions apart. Kool Cushions is very familiar with the special requirements for refitting and re-upholstering boats and yachts. 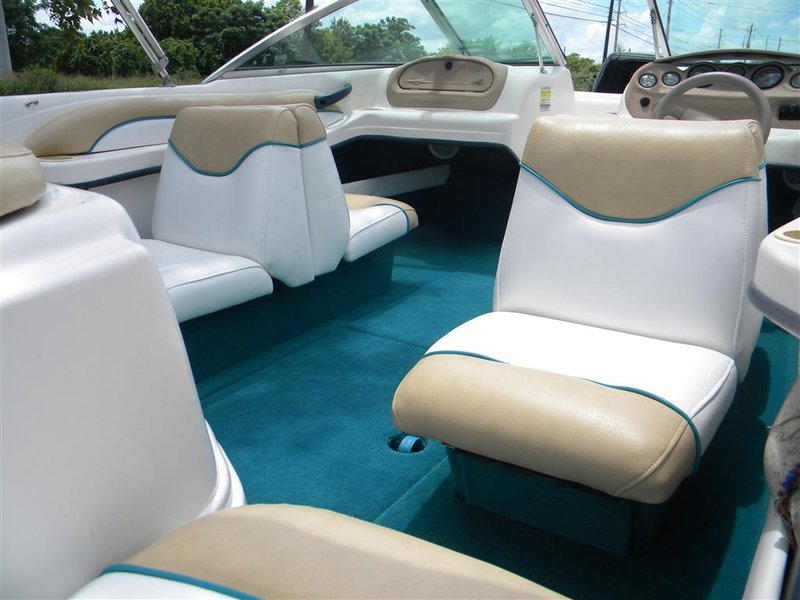 We also repair or restore the seats, boat tops, engine enclosures, boat decks, and beds. My boat seat cushions turned out great! Thanks to the guys at Kool Cushions. 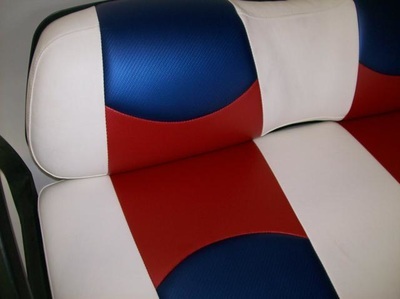 You all do great work! 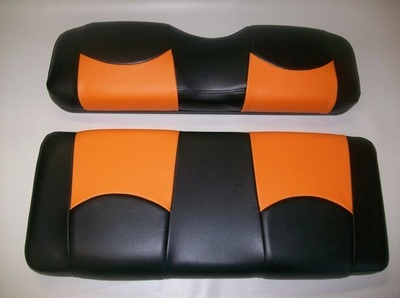 Kool Cushions can bring your furniture back to life and give your space an exciting makeover. 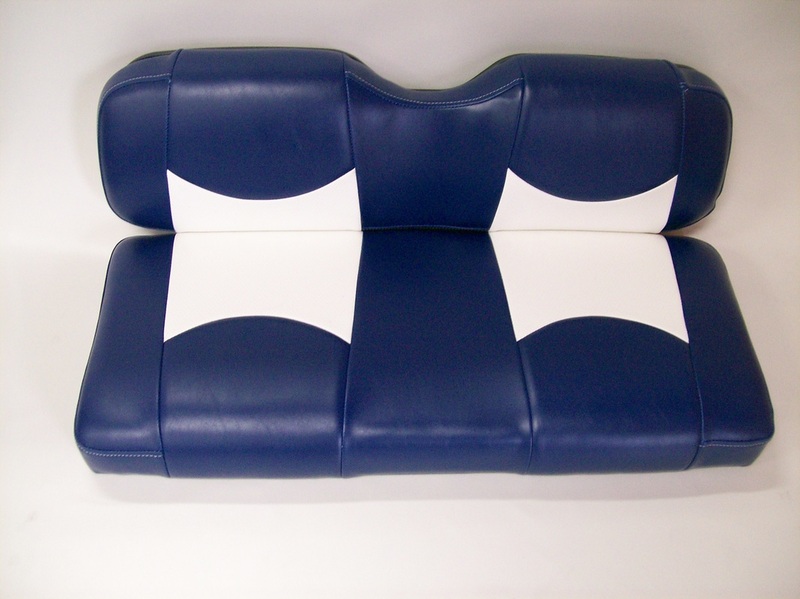 Whether it's a classic antiques piece, a well loved family heirloom, or a vintage bargain, we can take care all of you re-upholstery needs. 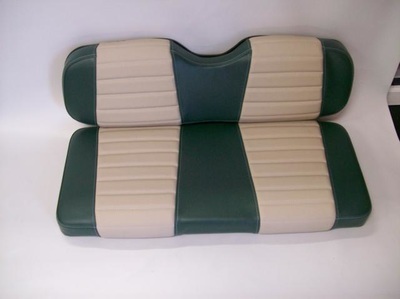 The Kool Cushion crew reupholstered my entire camper at a great price at the fraction of the time. 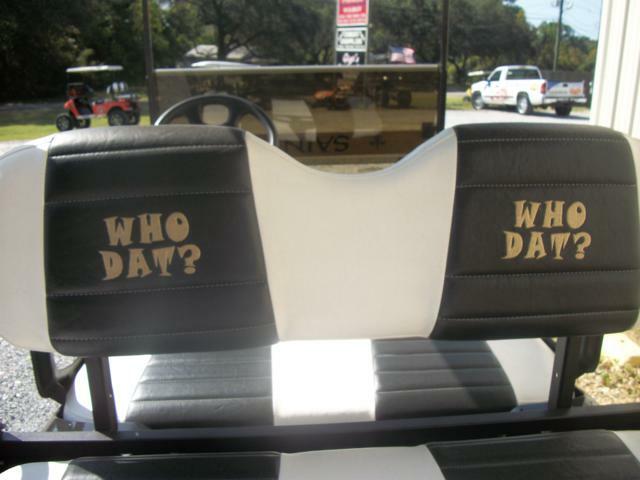 I am glad I called them. Our OEM services encompasses nearly every process necessary for efficient, cost-effective production of a high-quality product. 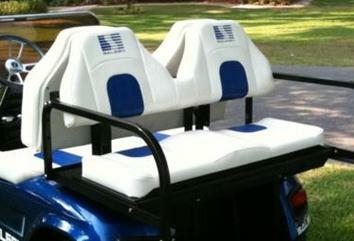 Whether you are a small start up company or a corporate giant, we can provide you with outstanding quality and services. 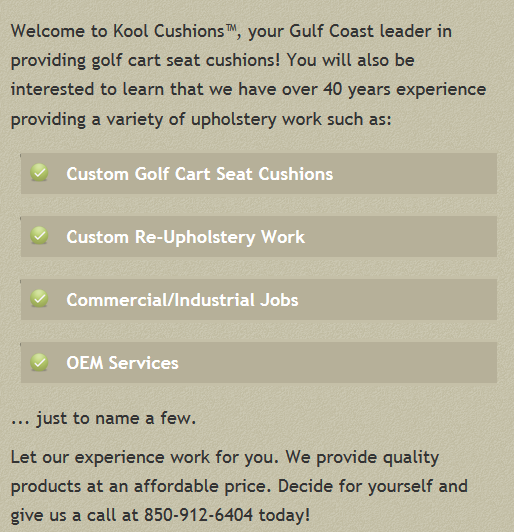 Kool Cushions provides great customer service and good communication throughout the process. 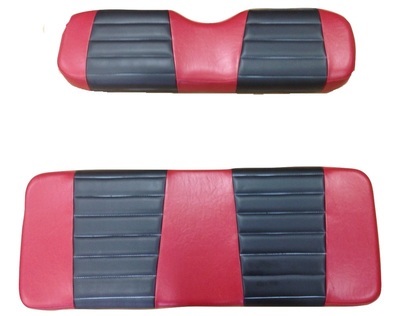 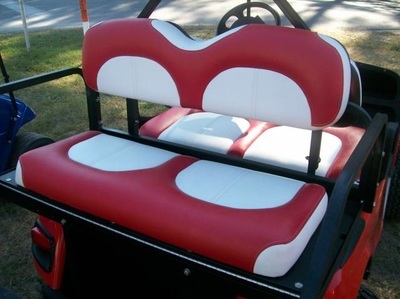 The manufacturing of our golf cart seat covers is the main staple of Kool Cushions. We use nothing but quality marine-grade vinyl on our carts, in a variety of colors. 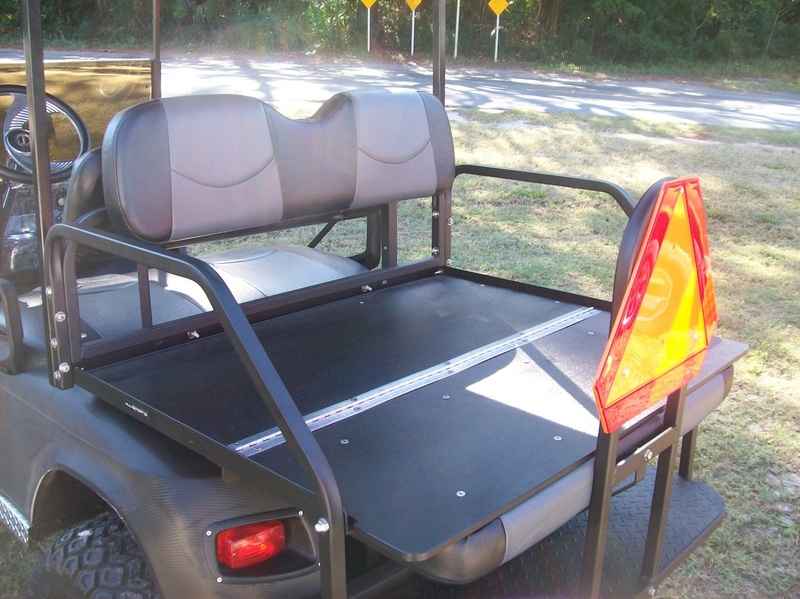 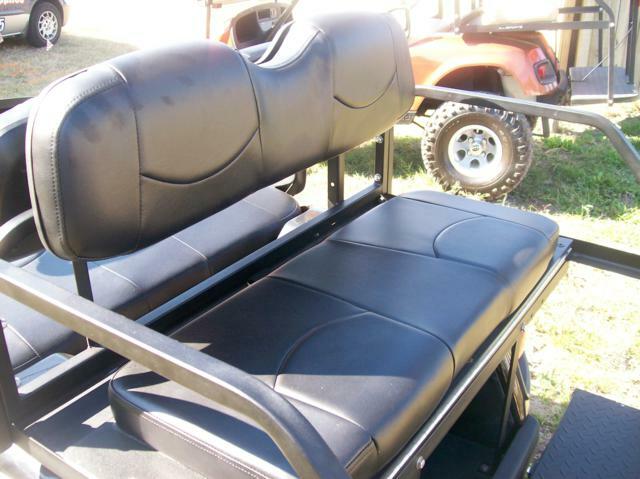 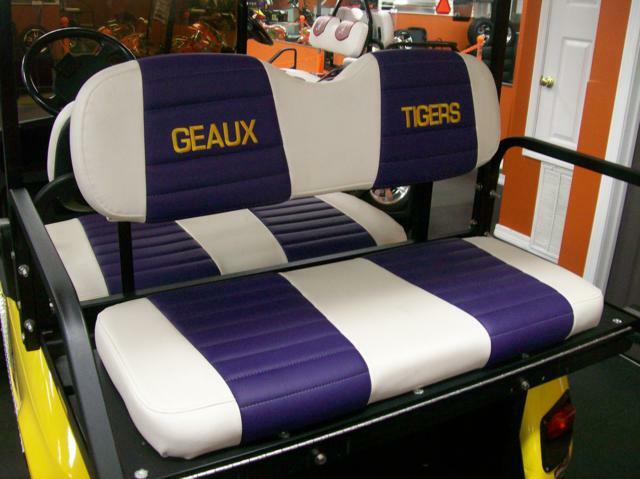 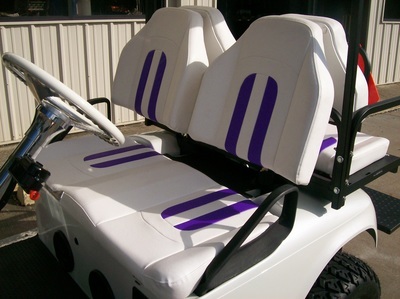 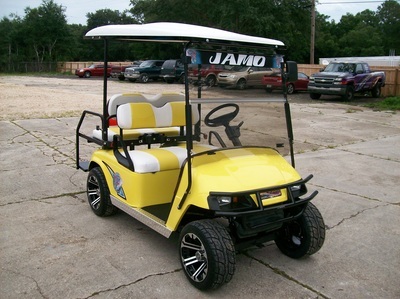 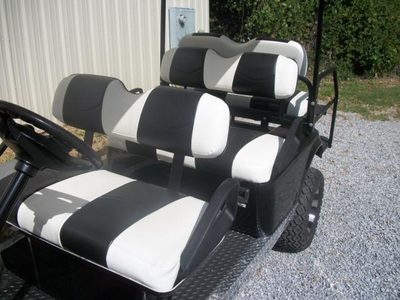 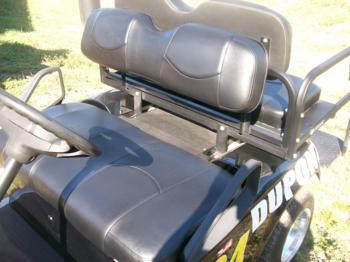 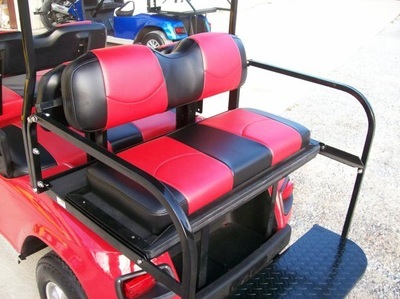 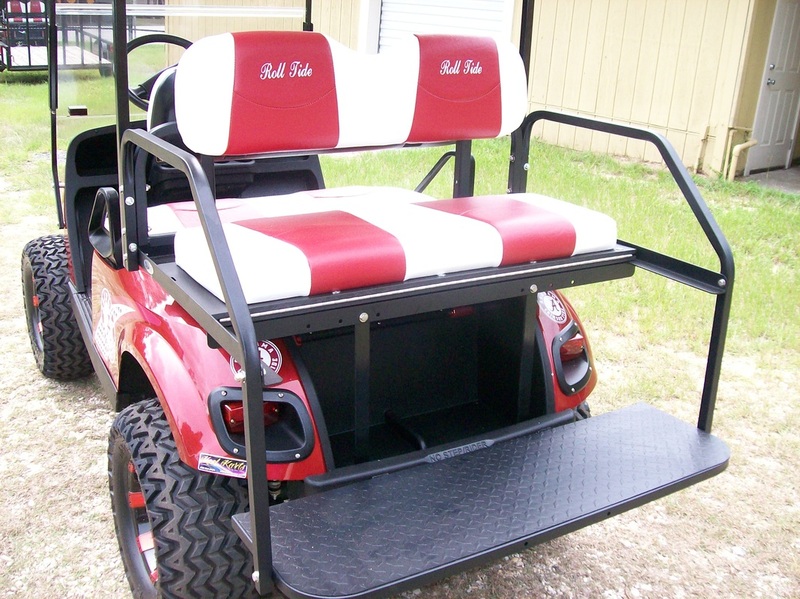 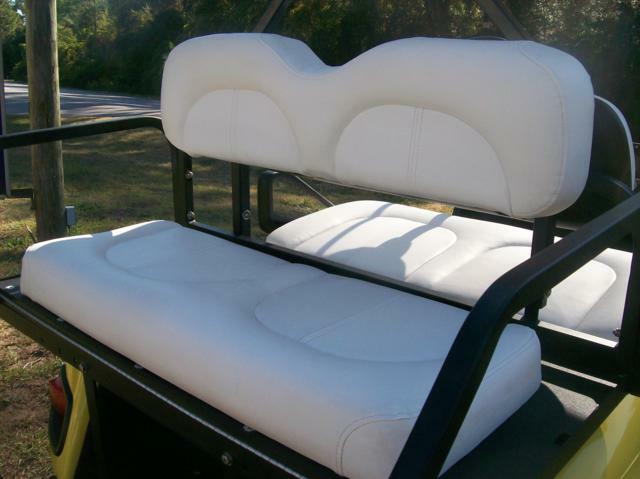 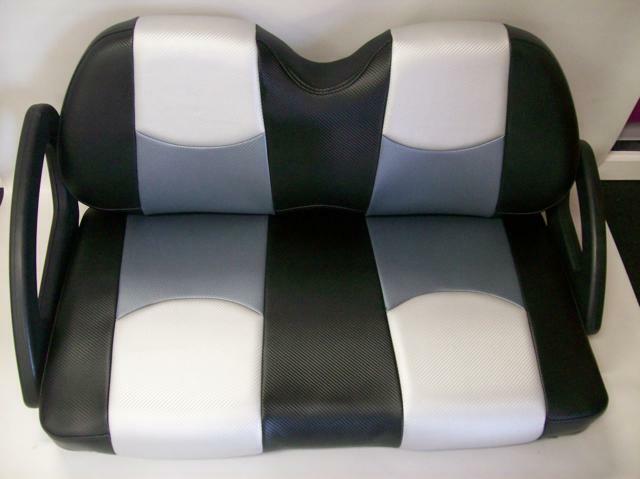 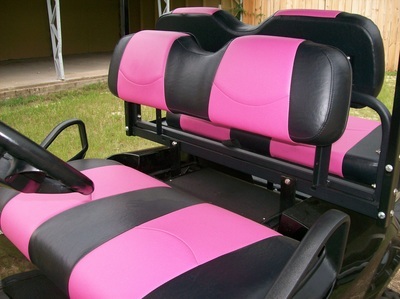 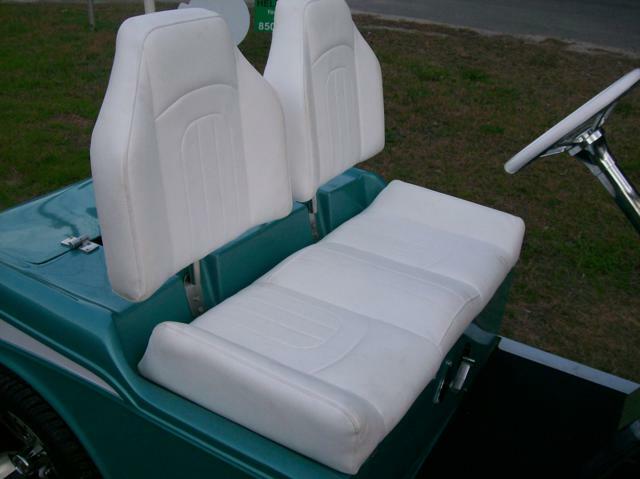 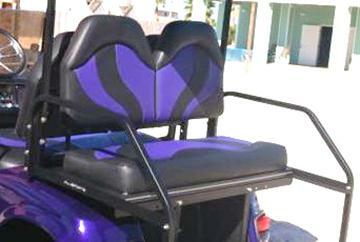 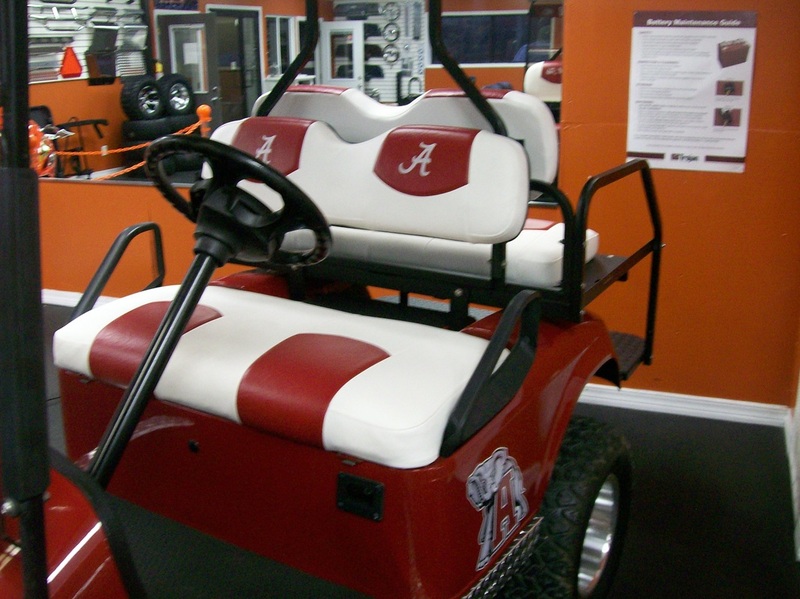 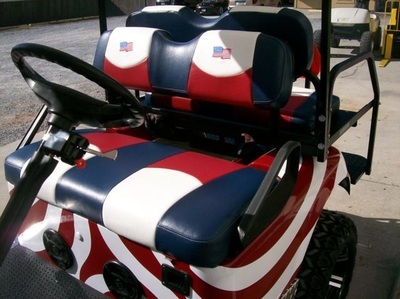 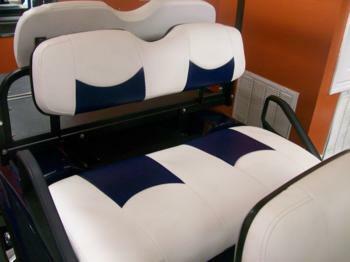 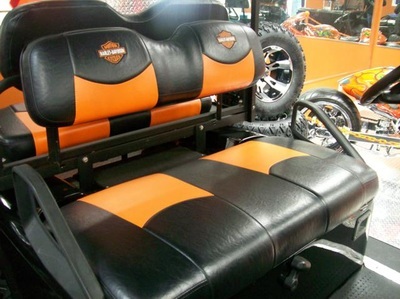 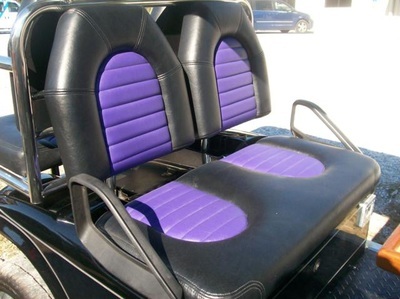 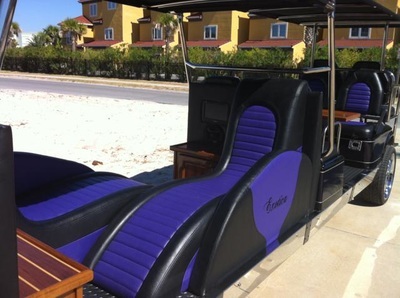 There is no better way to customize you golf cart than with custom seat covers. We bought some seat covers for our golf cart. 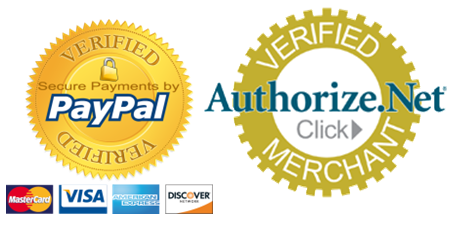 We received great communication and received a great product. We high recommend the folks at Kool Cushions. 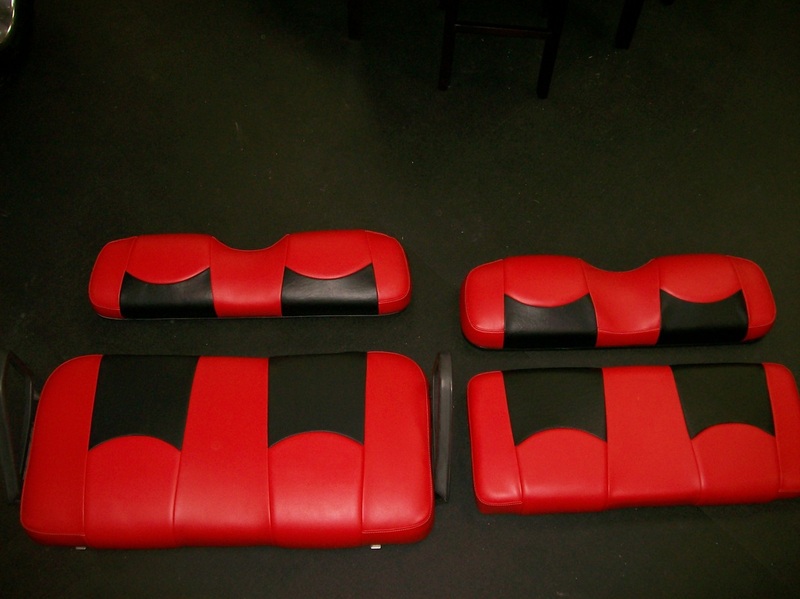 Need Golf Cart Seats? Check out this photo gallery of seat covers from our past and present. 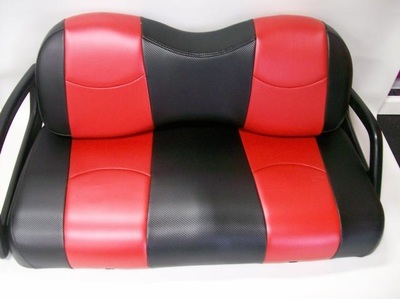 See our Store for more details.